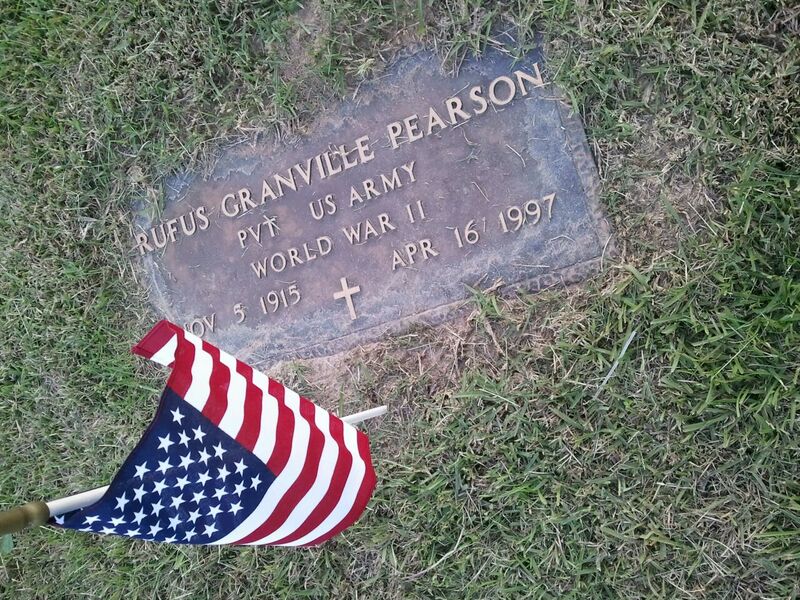 Granville Pearson was my maternal grandfather who served in World War II. Special thanks to the Joe H. Moorehead VFW Post 3806 for donating the flags used to remember veterans at Ebenezer Baptist Church cemetery as part of their memorial services on Sunday. Those remembered for their service included: John C. McWhorter, William Nathan Bramlett, Rufus Granville Pearson, Fred K. Pearson, Victor Davis, Kenneth Boyce Woods, Angelo E. Peacock, Ben W. Pearson, Leon Carlton Peacock, Denton Talley, Woodrow Box and Robert Box. 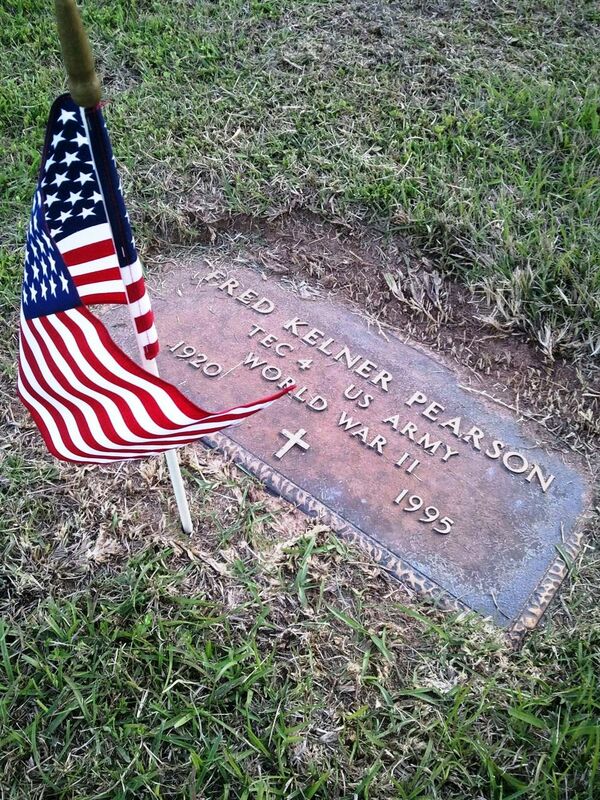 Fred Kelner Pearson was my great-uncle who also served in World War II. 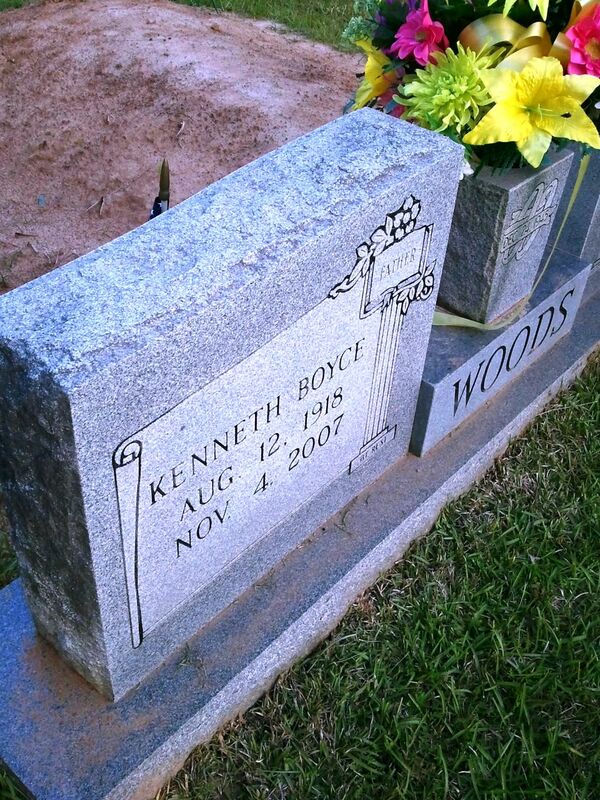 Kenneth Boyce Woods was my paternal grandfather and he served in the Korean War.